He burned sensitive files while working for a foreign government. He said that he was not willing to fight for the United States and would not give up his allegiance to a foreign power during a time of war. He renounced his American citizenship. Who was this enemy of the United States? He was my grandfather on my dad’s side. Having died before I was born, he was and has always been an enigma to me. My Aunt doesn’t remember her father being anti-American. To her, he was a true patriot. Any suggestion otherwise doesn’t fit in with how she chooses to remember him. Based on his actions though, most would call him a traitor. I want to believe, like my Aunt, that he was a “good” American and that he was forced to make decisions that only made him look disloyal. Over the last six years, I have been doing research on my grandfather. Recently, a wonderful National Archives researcher helped me “find” his FBI file. In the documents, my grandfather finally had a chance to tell me what happened and why he made the decisions that he did. In this five-part series, I will use primary documents and my grandfather’s words as much as possible. Where needed, I will add historical context to help understand the story. In the end, I believe my Grandfather’s World War II experience is the All-American story of what happens when you “look” like the enemy. My grandfather’s name was Takaichi Sakai. He was born on August 10, 1903 in Pahala, Hawaii. 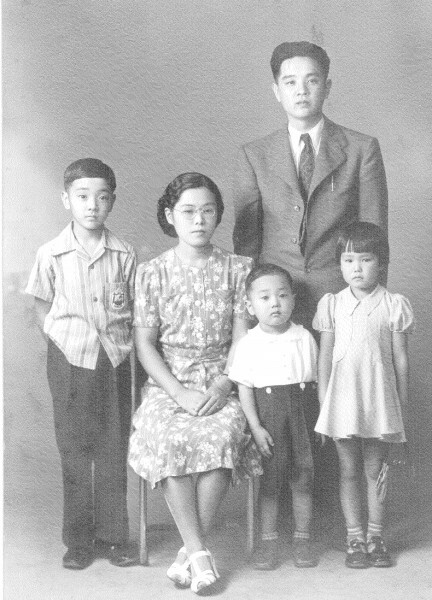 His father had immigrated from Japan during the late 1880s, making him a Nisei, or second generation Japanese American. He worked as a clerk for the Japanese consulate’s office until December 6, 1941.